Argentina might have claimed this gutsy grape first, but Eastern Washington is producing beautiful Malbecs, with intense fruit and restrained muscle. À Maurice 2007 Malbec (Columbia Valley; $35). Warm-spiced blueberry, plum, and black cherry with black pepper and cocoa, wrapped in velvety tannins. Open Sat or by appointment; 178 Vineyard Lane, Walla Walla; or 509/522-5444. Beast 2007 Phinny Hill Vineyard Malbec by Buty (Horse Heaven Hills; $30). Gravelly blueberry and black cherry laced with mint, espresso, and chocolate. $5 tasting; 535 E. Cessna Ave., Walla Walla; or 509/527-0901. Saviah 2008 Malbec (Walla Walla Valley; $30). A smoky, brooding tangle of berries, mocha, and spicy black licorice. 1979 J.B. George Rd., Walla Walla; or 509/520-5166. Flamboyant-white lovers can expand their wine vocabulary beyond Riesling in Washington’s Puget Sound. The chilly maritime weather is nurturing the great acidity and fresh aromatics of grapes you’ve never heard of. Mount Baker 2007 Siegerrebe (Puget Sound; $12). A riot of litchi, lemongrass, hay, peach, red pear, almond blossom, and spice. Tastings from $4; 4298 Mt. Baker Hwy., 12 miles east of Bellingham; or 360/592-2300. San Juan Vineyards 2009 Madeleine Angevine (Puget Sound; $12). Bright, honeyed peach, apricot, and pear with kumquat on the finish. Tastings from $1; 3136 Roche Harbor Rd. and 65 Spring St., Friday Harbor; or 360/378-9463. Whidbey Island Winery 2009 Siegerrebe (Puget Sound; $16). Earthy Asian pear dipped in honey, with just the right touch of sweet­ness. $3 tasting; 5237 Langley Rd., Langley; or 360/221-2040. 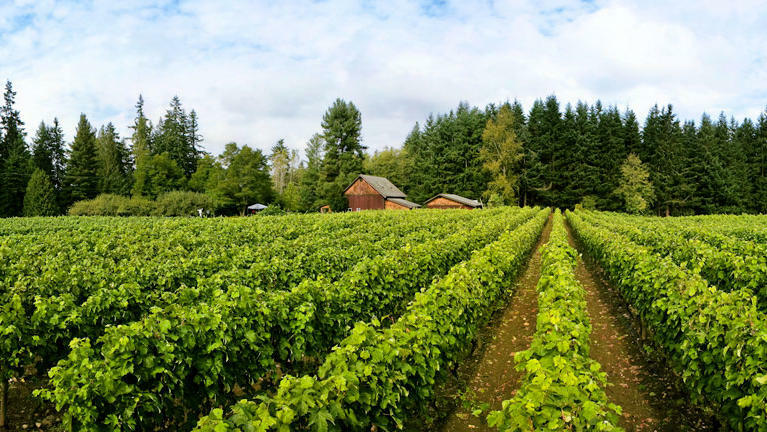 For fans of Chardonnay decked out in minerality instead of tons of oak, check out this Oregon valley for its crisp, cool-weather-driven Chards—little-known gems. Adelsheim 2009 Chardonnay (Willamette Valley; $22). Jasmine-scented Asian pear and melon give way to fresh stone fruit and lemon­grass. $15 tasting; 16800 N.E. Calkins Lane, Newberg; or 503/538-3652. Chehalem 2008 “Ian’s Reserve” Chardonnay (Dundee Hills; $36). Creamy peach, pear, and melon edged with wet stones and finished with a spritz of lime. Tastings from $5; 106 S. Center St., Newberg; or 503/538-4700. Domaine Drouhin Oregon 2009 “Arthur” Chardonnay (Dundee Hills; $30). Gorgeous melon, pear, apple, and stone fruit with just a touch of caramel. $10 tasting; 6750 N.E. Breyman Orchards Rd., Dayton; or 503/864-2700. Fans of earthy, tangy Spanish Tempranillo should try a Snake River Valley version. The dry, high-desert swath east of Boise even looks like Spain. Cinder 2008 Tempranillo (Snake River Valley; $25). Aromatic with dried florals over red earth and plum. $25 tasting; 107 E. 44th St., Garden City; or 208/433-9813. Davis Creek 2009 Tempranillo (Snake River Valley; $27). Nails the dark, tangy, earthy character of the grape, with drying tannins. $5 tasting; 429 Main St., Marsing; or 208/794-2848. Sawtooth 2007 Tempranillo (Snake River Valley; $20). Peppery red plum edged with violets, vanilla, chocolate, and earth. Tastings from $3; 13750 Surrey Lane, Nampa; or 208/467-1200. The next new hot address for cult Cabs-and-cousins blends is Happy Canyon of Santa Barbara. The warmest wine-growing pocket in the county, HC can get them big and ripe. Barrack 2006 “Ten-Goal” (Happy Canyon of Santa Barbara; $60). A Cab blend; cassis, blackberry, and plum with rose, pepper, mocha, and big tannins. $10 tasting; 813 Anacapa St., Santa Barbara; or 805/966-9463. Star Lane 2006 Cabernet Sauvignon (Happy Canyon of Santa Barbara; $42). Spicy licorice and tobacco under vibrant blackberries, mocha, and firm tannins. $10 tasting; 1280 Drum Canyon Rd., Lompoc; or 866/652-8430.